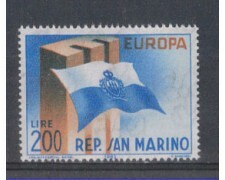 1963 - SAN MARINO - EUROPA (UNIF/SASS. 659) FDC (FILAGRANO). 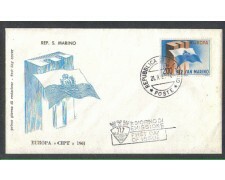 1963 - SAN MARINO - EUROPA (UNIF/SASS.659) NUOVO GOMMA INTEGRA ORIGINALE. 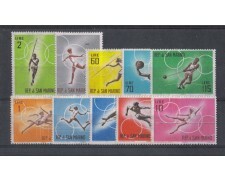 1963 - SAN MARINO - PREOLIMPICA VERSO TOKIO (UNIF.SASS.649/658) SERIE COMPLETA 10v. NUOVI GOMMA INTEGRA ORIGINALE. 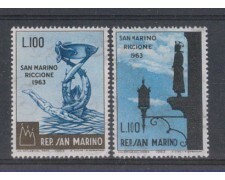 1963 - SAN MARINO - GIORNATA FILATELICA SAN MARINO-RICCIONE (UNIF-SASS. 642/643) SERIE COMPLETA 2v. NUOVO GOMMA INTEGRA ORIGINALE. 1963 - SAN MARINO - GIOSTRE E TORNEI (UNIF-SASS. 632/641 - Yvert. 587/596) SERIE COMPLETA 10v. NUOVI GOMMA INTEGRA ORIGINALE. 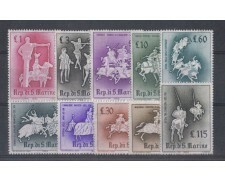 1963 San Marino - Swings and Tournaments full set of 10 new stamps MNH.